3 Top Future Beach Kayak Reviews - Choose Your Fave! 3 Top Future Beach Kayak Reviews – Choose Your Fave! Future Beach manufactures plastic kayaks that are tough, durable and able to withstand rough water play. Their kayaks are made of rotomolded or blowmolded polyethylene. Their offerings cover recreational and fishing-specific kayaks in a range of sizes and features. Notably, they highlight their support of environmental awareness. The company states that they have a “zero-waste, zero-landfill manufacturing facility”. Aquamarine Sports has chosen several Future Beach kayaks that may fit your needs and budget. Here, we review and compare the features and merits of three categories of Future Beach kayaks: sit on top recreational kayak, sit in kayak and sit on top fishing kayak. Is it stable? Will it tip easily? Can I stand up to paddle or fish in this kayak? Is it easy to carry? To transport in/on my vehicle? What kind of storage space does it have? Will it hold me and all my gear? The Future Beach Eclipse is an 8-foot-6-inch blowmolded plastic sit on top kayak that excels for general recreational use. Let’s look at some of the features of this versatile little kayak. The hull is formed with multiple channels for greater stability. It has tiered footrest levels that allow the user to choose the footrest that best fits leg length. The Eclipse features a molded seat with a separate backrest that is adjustable and can be folded down for easy storage when not in use. There are open storage wells in the bow and stern that feature bungee cords to hold gear in place. The Eclipse weighs 39 lb. It has two carry handles attached to the bow and stern and a molded handled on each side. The Eclipse is 102 in. long (8′ 6”), 31 in. wide and 12-1/4 in. high. The carrying capacity is 295 lbs. Bottle holder located below seat, integrated drain plugs. Due to the multichannel design of the hull and the substantial width, the Eclipse enjoys good stability and straight tracking. This makes it an excellent choice for beginner kayakers. It is easy to enter and exit the kayak and will not easily tip. It is almost impossible to submerge. The Eclipse, while very stable, does not have a design that works well for standing to paddle or fish. While generally considered comfortable for recreational use, the molded seat and adjustable seat back do not rank high for comfort over a long period of use. The adjustable tethers that maintain the seat in an upright position are a potentially weak point that may break with excessive force. Holding 295 lbs, the Eclipse can easily accommodate an average adult plus some basic gear. The open bow and stern wells with their bungee cords can accommodate a backpack and some camping gear, for example, but clearly none of it will stay dry. The Eclipse is lightweight at only 39 pounds. It can be carried easily by an average-sized adult using the molded side handles. The bow and stern handles allow easy maneuvering when entering and exiting the water. The short length means it can easily fit in the rear of a pick-up truck without hanging over too much. It is light enough for the average car roof-rack. The Eclipse is very simply designed and doesn’t really allow for addition of accessories. The sleek, simple design of the Eclipse makes it easy to transport and store. It has the essential basic features to make a comfortable and successful experience for the beginner as well as for the seasoned paddler. It is possibly the best sit on top kayak for the money. It will easily suit the beginning paddler with its stability, simplicity and reasonable price. Still the seasoned paddler may also find this kayak to be an inexpensive complimentary addition to the fleet. Unfortunately, the Eclipse 102 is not currently sold under that brand, but the Lifetime Lotus is a nearly identical kayak. You can see details and purchase the Lifetime Lotus kayak here. The Future Beach Vantage 144 is a 12-foot rotomolded plastic sit in kayak that is a super entry-level sit in kayak that is easy to enter and easy to paddle. Similar to the Eclipse the Vantage hull is formed with multiple channels that help increase stability. It also has the tiered footrest levels to suit different leg lengths. The cockpit is generously large and open, with a spray skirt lip. The Vantage features a molded seat with a small padded backrest. The rear bulkhead features a 12in. x 20in. oval storage hatch. There are bungees on the bow for extra gear. Weighing in at about 60 lbs, the Vantage has two carry handles attached to the bow and stern. The Vantage 144 is 144 in. long (12 ft.), 31 in. wide and 13 in. high. The carrying capacity is 295 lbs. Cup holder between knees, integrated drain plugs. The Vantage 144, like the Eclipse, is also very stable due to the hull design and width and tracks well. This makes it a great choice in the sit in style for the beginning kayaker. The long body allows a faster cruising speed, though this model is not considered a particularly fast craft. The cockpit is relatively large for a sit in style kayak. This makes it easier for larger users to enter the kayak comfortably, especially for those with long legs or less flexibility. The padded seat back is small and the molded seat is adequate, but does not get high ratings for comfort. There are no additional pads around the edges of the cockpit or on the sides for the knees. Like the Eclipse, the Vantage 144 has a carrying capacity of 295 lbs. The front bungees will hold small items like a PFD. The rear bulkhead storage hatch can accommodate some dry storage, though it is not completely waterproof. The Vantage is relatively heavy, at about 60 lbs. It can be difficult for one person to carry easily. The bow and stern handles allow easy maneuvering when entering and exiting the water and enable two people to easily carry it outside the water. The 12 foot long body will require a bed-extender for a pick-up truck, a special roof rack, or trailer for transport. Recently, this kayak has been discontinued. Please click here to see our review of the Wilderness Systems Pungo 120, which has similar features. Click here for pricing information for the Wilderness Systems Pungo 120. For those paddlers desiring a reasonably-priced elegantly simple sit in style kayak, the Vantage 144 should fill the bill. The extra long body makes a faster, yet still stable ride that will satisfy the seasoned paddler and make a great experience for the beginner. The generous cockpit opening is helpful for long legs and larger users. Since this kayak has been discontinued, we recommend a fine alternative. Click here for our review of the Wilderness Systems Pungo 120. The Angler has a dihedral hull shape for increased stability. Like the Eclipse, it also has the tiered footrest levels to suit different leg lengths. The Angler features a molded seat with a small padded backrest. The rear bulkhead of the Angler 144 features a 10in. x 18in. oval storage hatch. The Angler 160 has a 12in. X 20in. oval storage hatch. Both models feature two 6in. round storage hatches, one in the stern bulkhead and one in the center in front of the seat. The large stern storage well features a molded well for a bait bucket and bungees to hold gear in place. The Angler 144 weighs 66lbs. and the Angler 160 weighs 74lbs. Both have carrying handles mounted at the bow and stern as well as on both sides. The Angler 144 is 144in. long (12ft. ), 30.5in. wide and 11in. high. The Angler 160 is 160in. long, 30in. wide and 13.5in. high. Both have a carrying capacity of 420lbs. Two bottle holders molded into the floor below the seat, integrated drain plugs. The Angler also features two flush-mounted rod holders behind the seat and paddle tie-downs on both sides. The Angler hull design is very stable and has good tracking. The longer Angler 160 model will have the ability to move more quickly. However, neither model is designed for speed, but rather stability. That is the primary feature necessary for a good fishing kayak. While the width of this kayak lends itself to good stability, the sit in design with the molded footrests does not lend itself to being able to stand up to cast or paddle. The rotomolded seat and the small seat back are adequate for the task, but do not boast high ratings for comfort. The real winner in this area, the Angler kayaks feature a lot of storage. And a massive carrying capacity of 420lbs. There are three storage hatches to store camping and personal gear and the stern well that can hold a bait bucket or a milk crate as well as a tackle box. This gives the fisherman has plenty of space and carrying capacity for everything he needs for a weekend fishing trip. The small, round storage hatches can be difficult to open by hand, but are generally watertight. The storage hatch in the bow is spacious, and is watertight, but not completely waterproof. Both Angler models are quite heavy at 66 and 74lbs, respectively. Not too easy for one person to carry. There are four handles attached to bow, stern and both sides that help with entering and exiting the water and transport to the vehicle. The long body of both models would require a bed extender, special rack or trailer for transport. With two rod holders, space for gear, and attached paddle tie-downs, there are enough basic accessories to begin with. There are no other specific accessory attachments. Some users may want to add after-market accessories and this is entirely possible with a minimum of effort. We will post future articles about adding accessories to your kayak. The Future Beach Angler series is no longer available. Please click here to see detailed information on our recommendations for comparable kayaks. The simple and efficient design of both the Angler 144 and Angler 160 make either of these kayaks an excellent choice for the fisherman who is wanting an affordable yet compact and complete fishing kayak. Plenty of storage for your camping gear, room for your bait bucket and tackle, two rod holders. Pretty much everything you need to get started in kayak fishing! Update: Since this article was originally posted, the Future Beach Angler kayaks have been discontinued. We offer the following suggestions for kayaks with very similar features and price points. In lieu of the Future Beach Angler 140, we recommend the Lifetime Weber Fishing Kayak. It is a little shorter, at 11 feet. Click here to see more details and purchase the Lifetime Weber Sit On Top Fishing Kayak. In lieu of the Future Beach Angler 160, we recommend the Ocean Kayak Angler 13-foot Kayak. Click here to see more details on Amazon and purchase the Ocean Kayak 13 Prowler Angler Sit On Top Fishing kayak. We hope you have enjoyed learning about the features of three (four, really!) 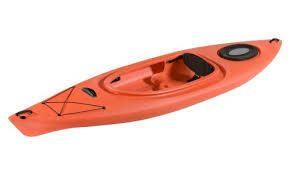 basic kayaks available in our kayak reviews. 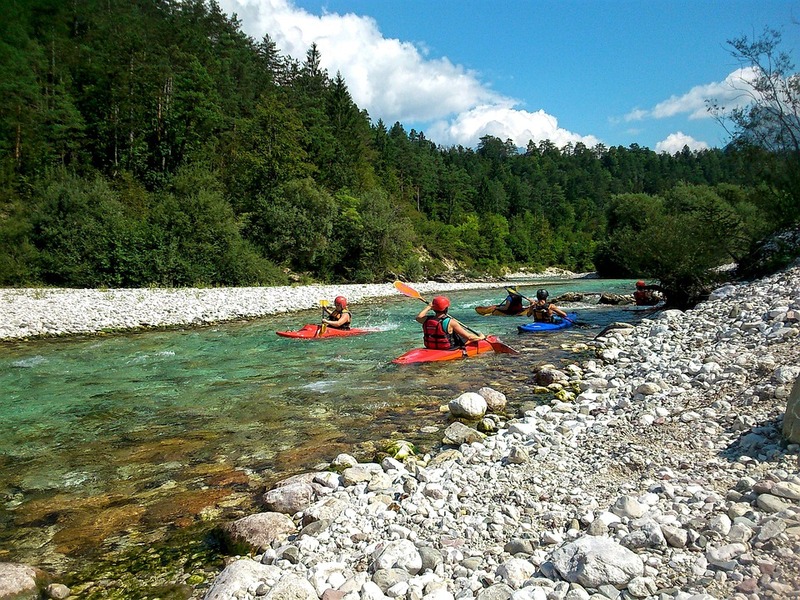 Perhaps one of these will suit your needs as you begin, or even continue, your kayaking journey. Bookmark our page and check back often as we do the research dirty work for you and find the best kayak for your needs. Thank you for visiting AquamarineSports.com! This entry was posted in Kayak Reviews, Sit In Kayaks, Sit On Top Kayaks and tagged angler, fishing kayak, future beach, Sit in kayak, sit on top kayak on May 19, 2016 by Diver T.
These look like incredibly durable kayaks with a variety of sizes. I am thinking I like the sit IN style better then on. Fishing would be better with a sit ON style for sure. Note all the weights of each you listed. As a small person I cannot put those heavy ones on top of a vehicle, so we purchased a small trailer to pull behind our Jeep or pickup! So easy to get them transported. What do you suggest for top car racks or small trailers? I see you commented that the hatch is not always water proof…yup so true. I had a soggy sandwich one day so bought a water proof bag to throw things in before putting in the carry space! I also put a waterproof box on a carbiner and attach it to a safe place on my kayak. Many times I have to carry my car keys somewhere safe. Holds a telephone too, which enables me to take plenty of fun photos!! !